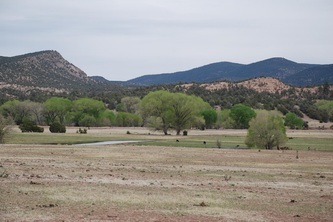 From Albuquerque take I-25 south to Socorro, then Hwy 60 west to Datil, then Hwy 12 south to Reserve, the administrative capital of Catron County. 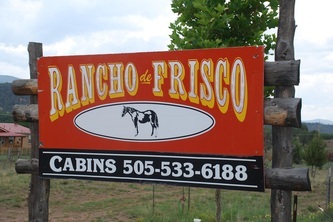 Continue through town south on Hwy 435, and the ranch begins at mile marker 1 to your left (east side of road) right beside the Christ of Church Chapel. 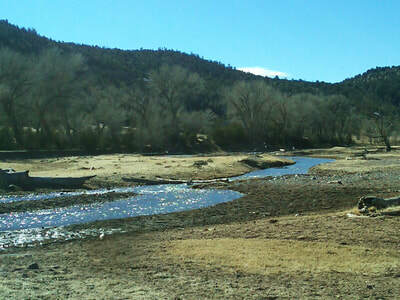 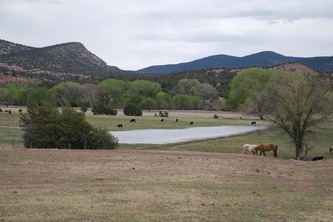 Now enjoy the view across the ranch and the San Francisco River, which traverses it for 1/2 mile. 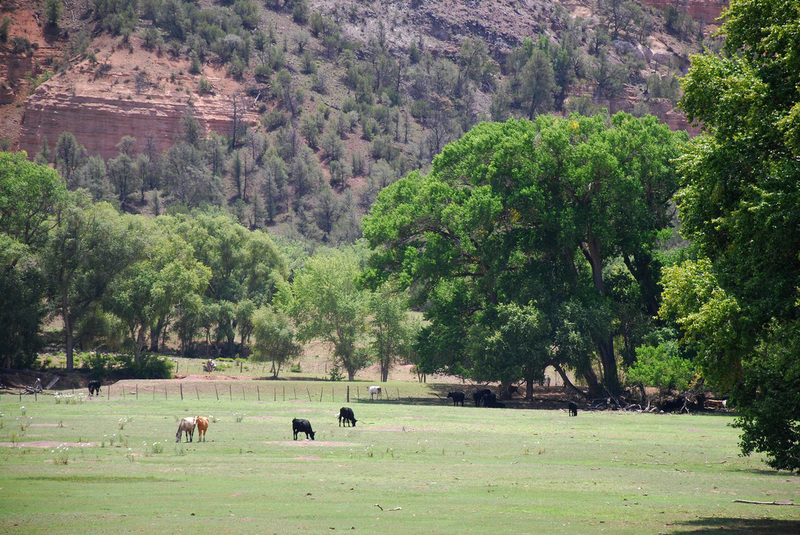 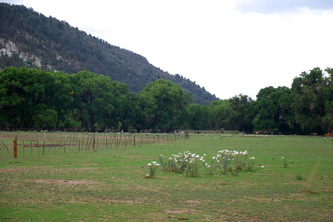 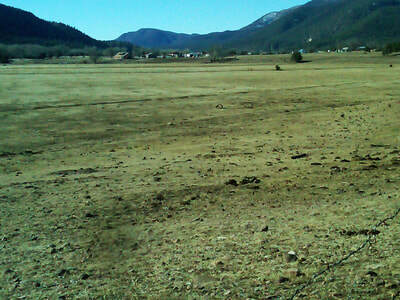 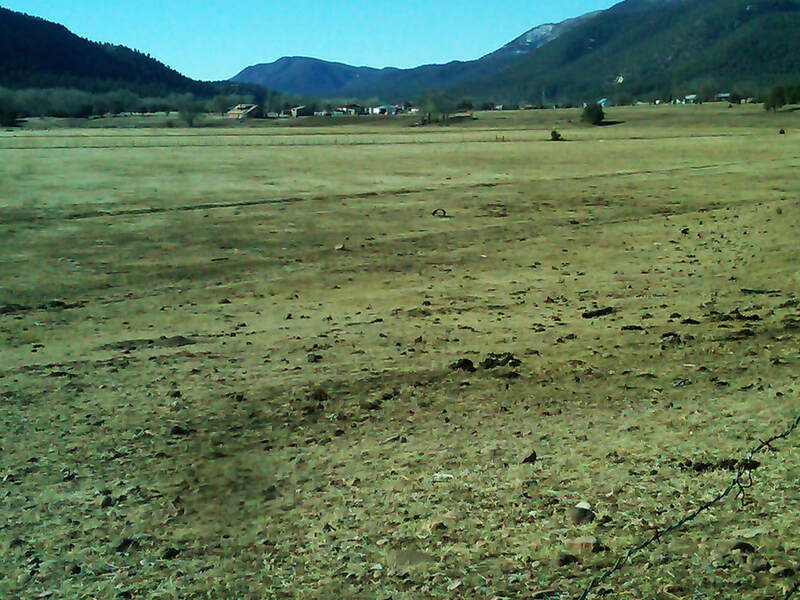 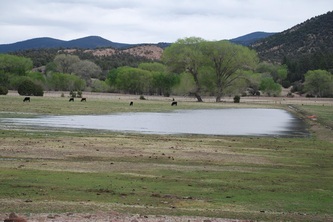 Pastures for cattle, horses and sheep are lush, and the cottonwood bosque allows for welcome shade for all livestock. 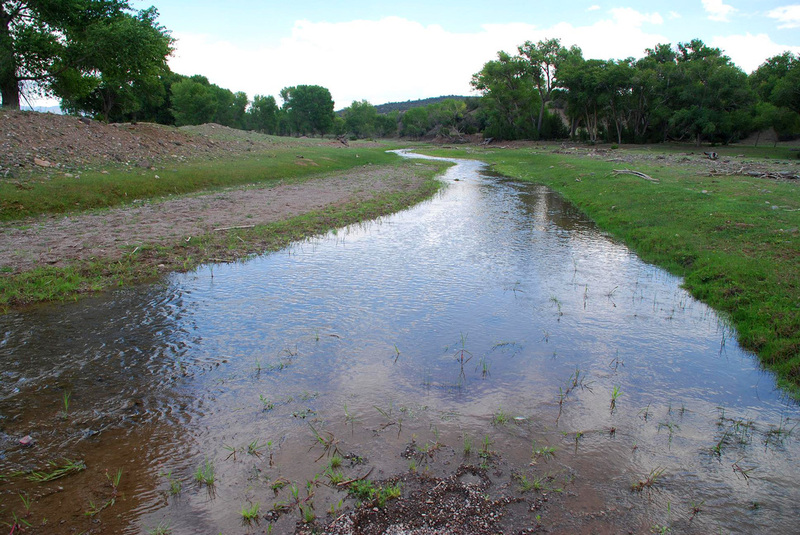 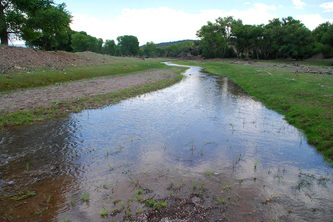 This ranch boasts valuable water rights, an irrigation ditch which is named after the owners who have lived here for two generations, and an irrigation well. 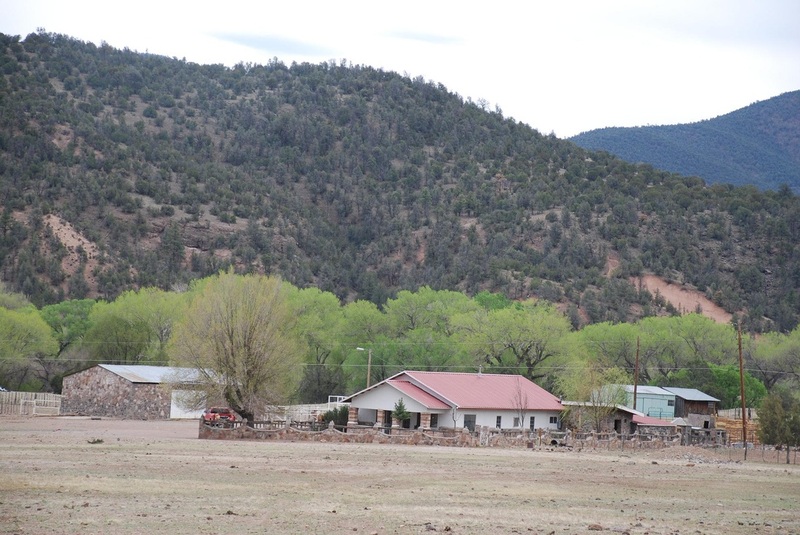 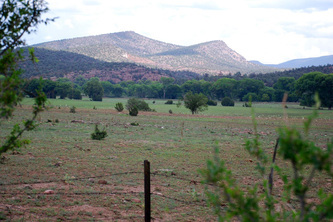 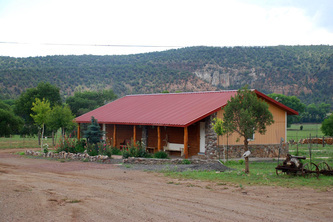 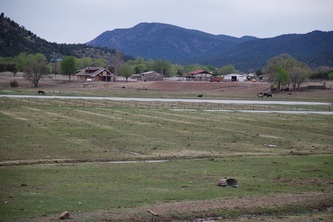 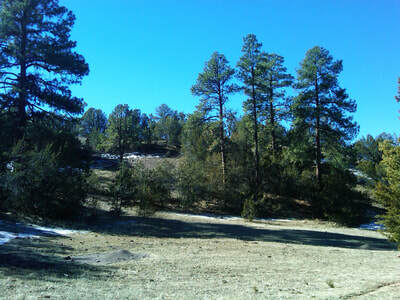 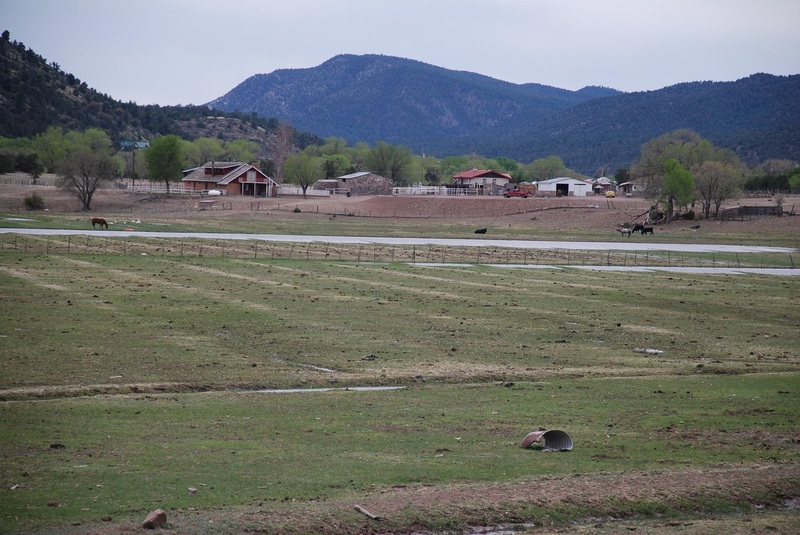 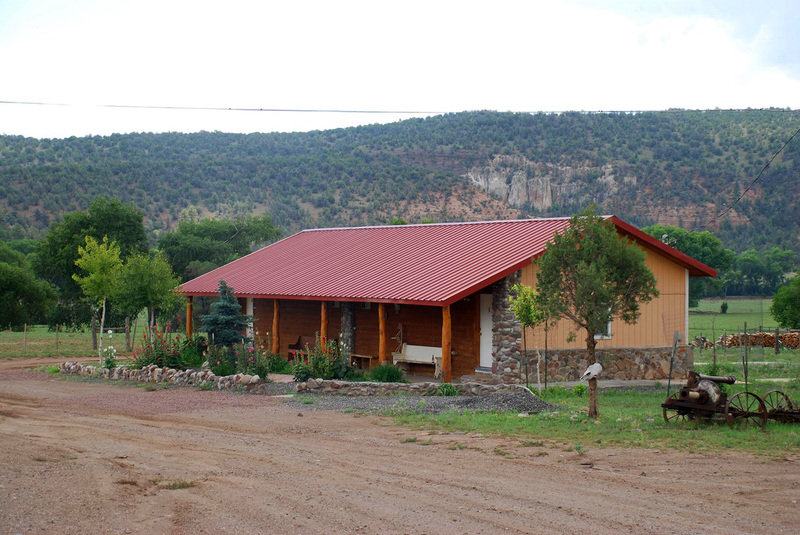 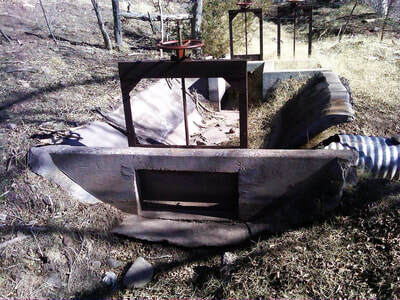 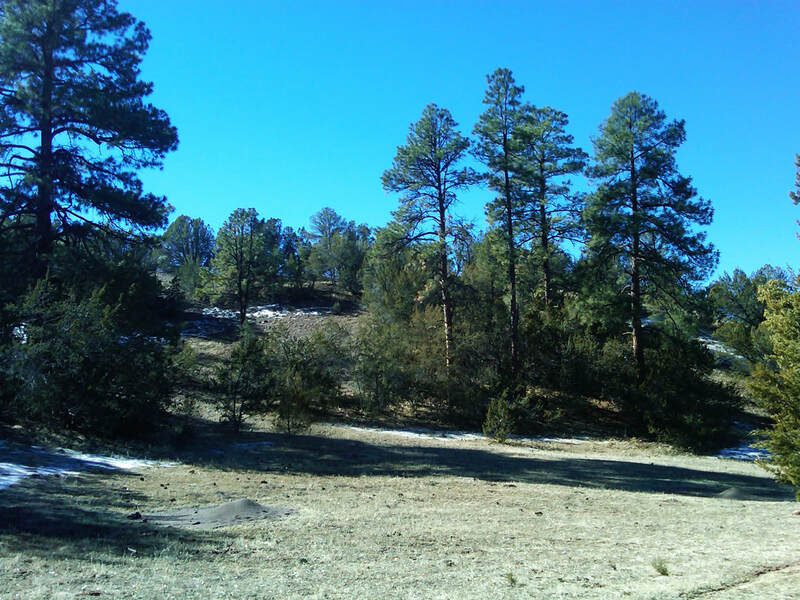 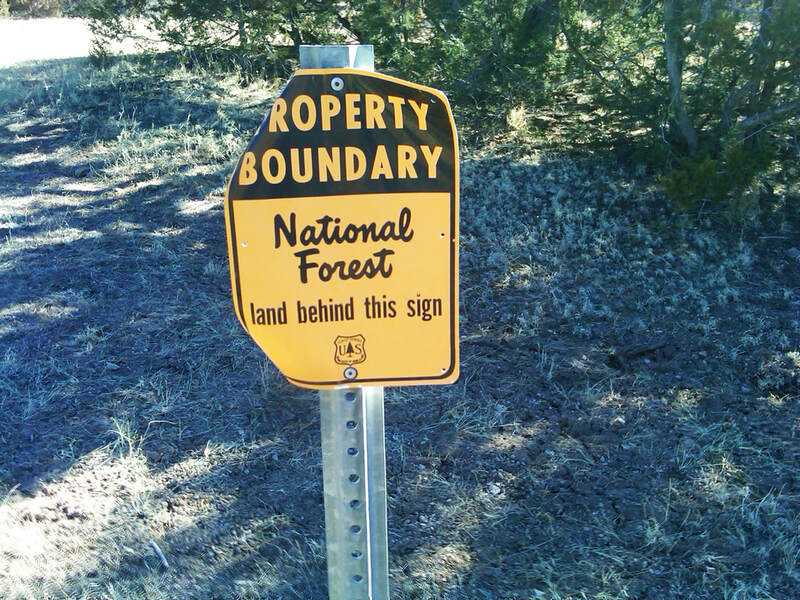 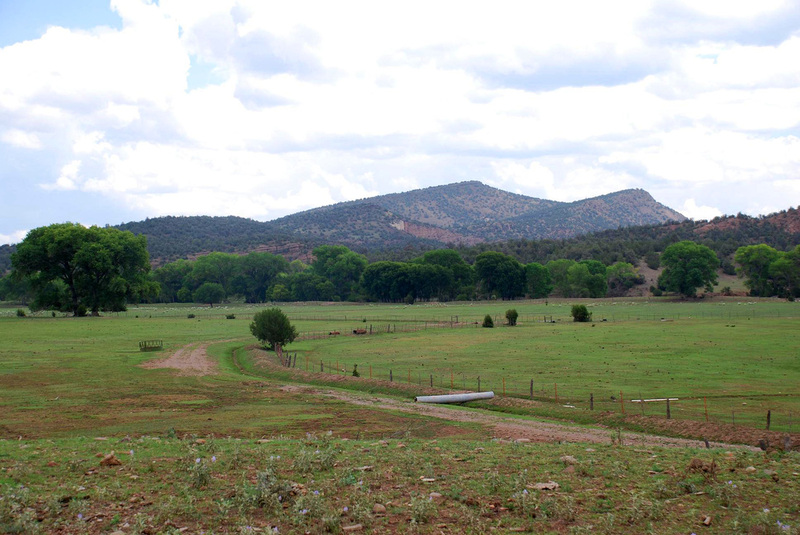 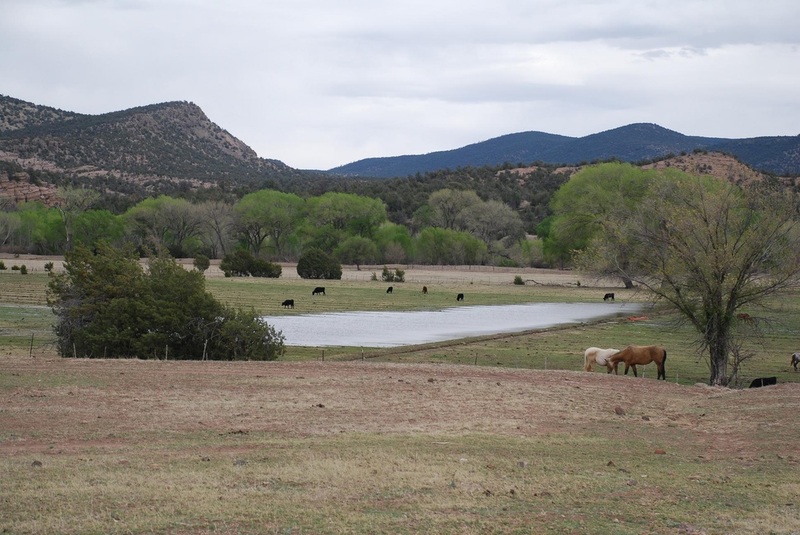 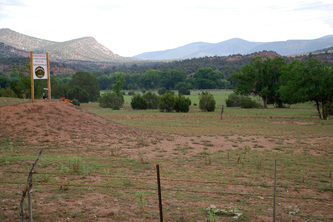 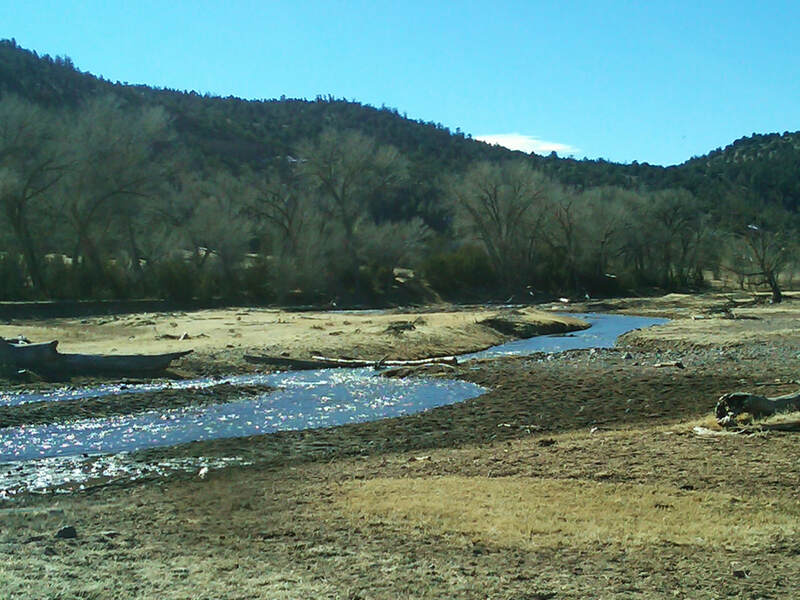 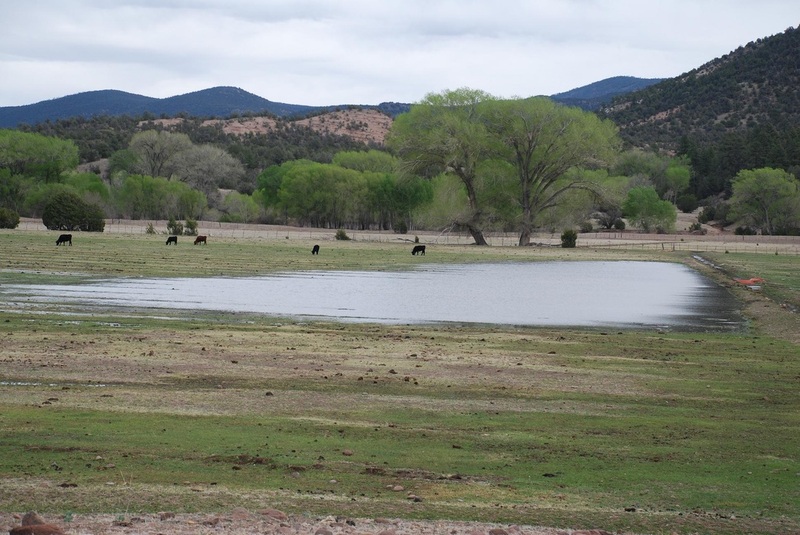 As a hunter's paradise the ranch expands into ponderosa, pine and cedar forest on the east side of the river where it offers a common boundary with the Gila National Forest. 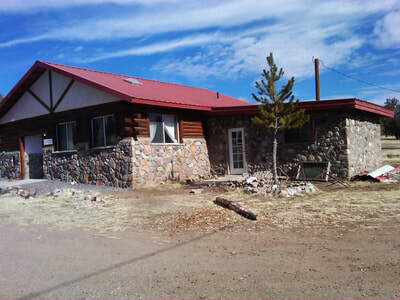 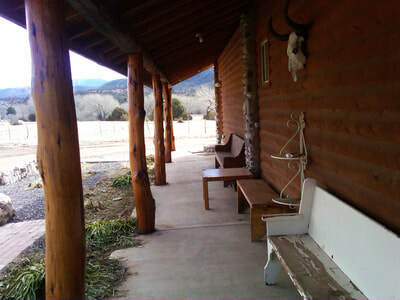 The main house was built of stone by the owner's father in 1927 and has 2 bedrooms and two baths, a 2-car garage or barn, another hay and equipment storage barn, several corrals, and a feed lot. 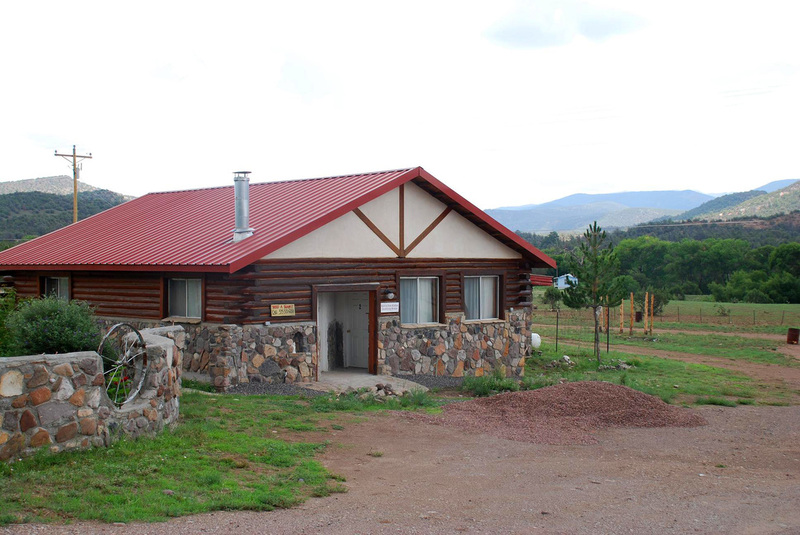 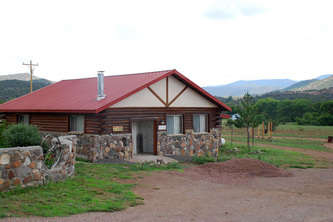 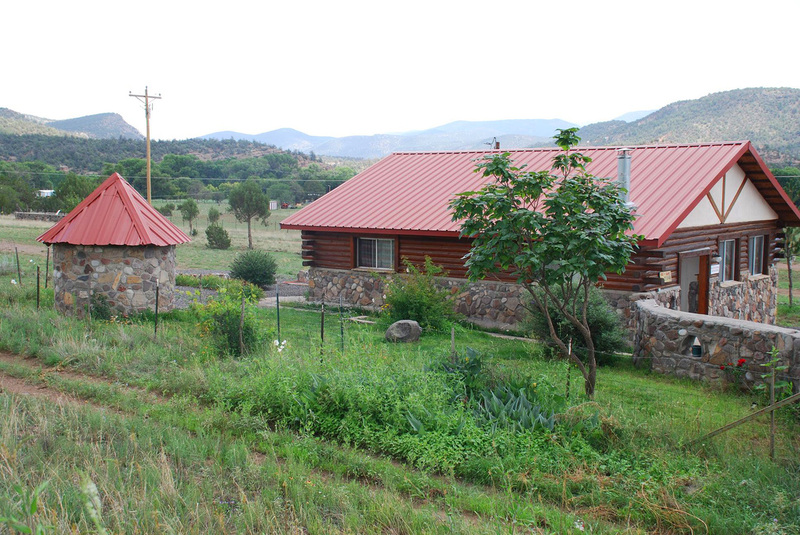 With this ranch also go two detached hunters' and vacationers' cabins which were well constructed from local rock and log timber. 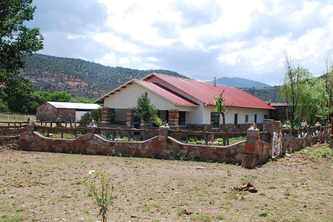 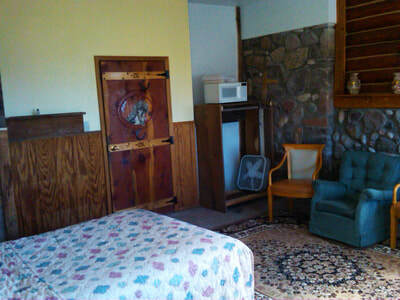 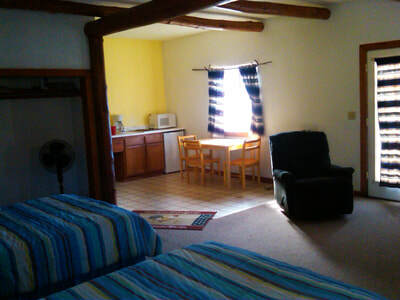 Both guest houses include two bedrooms, with one sleeping 8-10 and the other accomodating 4-6 guests. 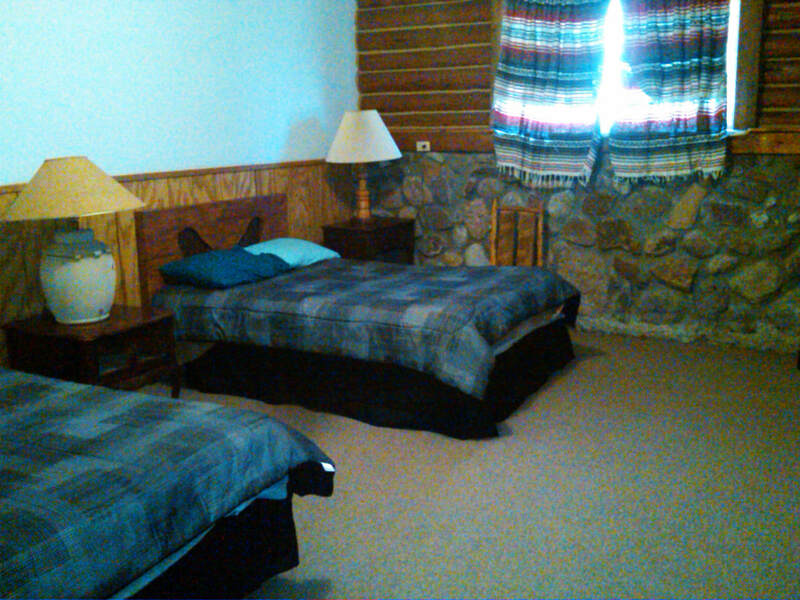 Both houses have clean bathrooms and kitchenettes and are fully booked each summer and fall hunting season. The owner's sister owns a 7 bedroom & 5 bath home on 7 acres centrally located on the ranch which she may sell as a separate deal. 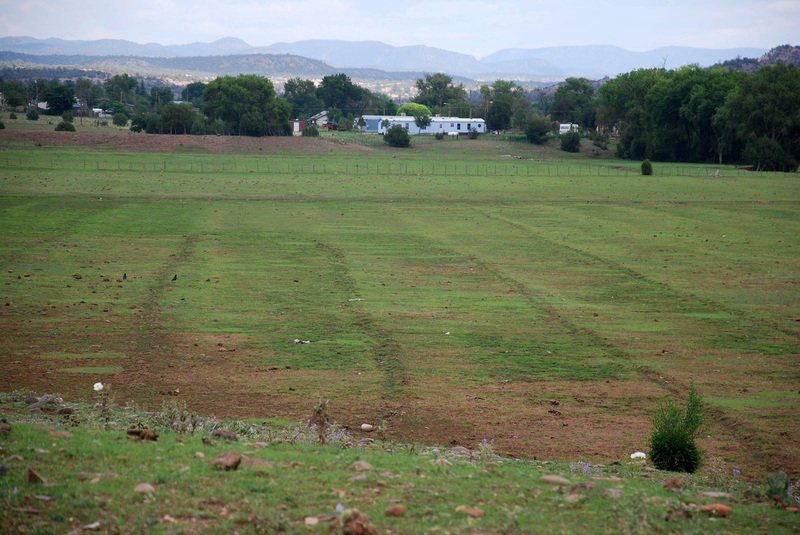 3 shallow wells offer sufficient supply for the buildings, livestock as well as some areas of irrigation. There is also a small trailer park which contains 3 trailers that are leased, and 4 fully leased storage units. 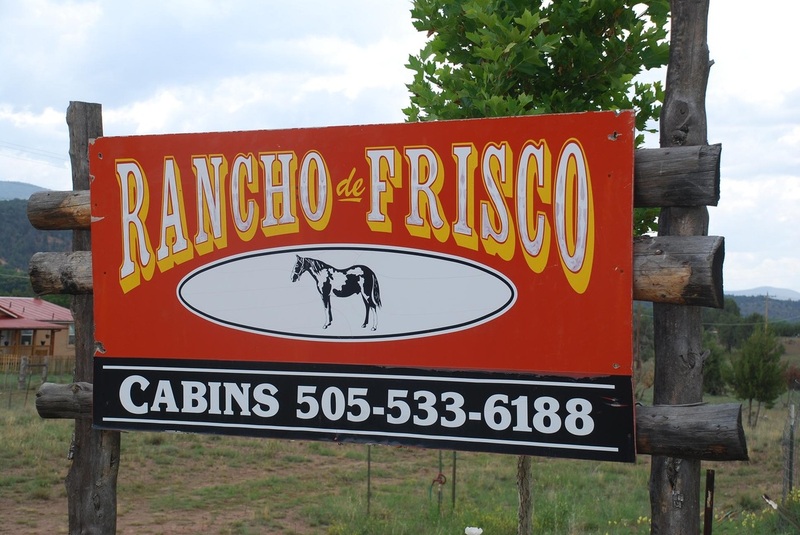 With excellent hard-surface access on State Hwy 435 into the Western town of Reserve and its restaurants, hotels, schools and health clinics, this ranch is truly a rare gem for New Mexico! 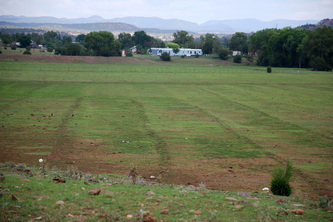 Seller will consider also selling a portion of the ranch.